Modern marketing has become customer-centric. Rather than one-way, generic message broadcasting, marketing today is about delivering a relevant, personalized experience… but how do you deliver relevance if you don’t know who you’re talking to? 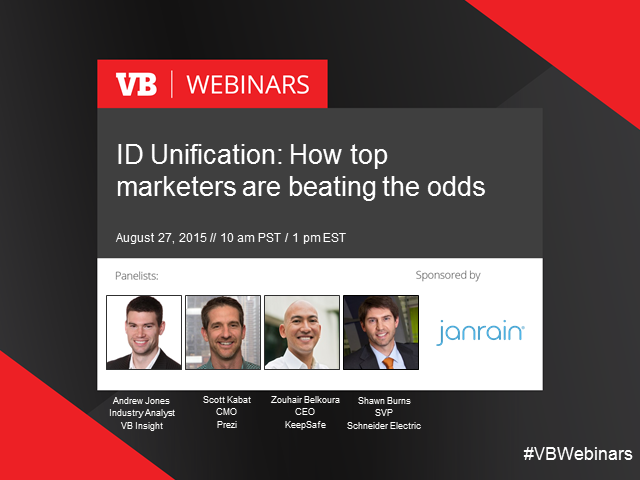 This webinar will be based on Andrew Jones' ID Unification report, published in July, 2015.